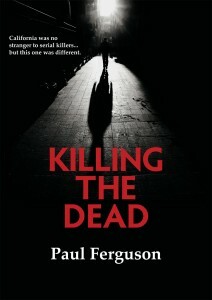 Former Slough Jets Coach Paul Ferguson has his first thriller novel in publication right now, Killing The Dead, and will be at the Hangar selling and signing books during period breaks of the Legends Game. Paul was born in England and moved to spend his childhood in Canada but returned to the UK where he enjoyed a coaching career with the Slough Jets and then moved into broadcasting covering ice hockey for BBC, ITV, Sky and Eurosport including five Olympics and over ten world championships. Paul’s first taste of writing had come in the 70s when he wrote pop songs and radio commercials but it wasn’t until after selling his immigration consultancy business in 2006 that he could turn his attention full time to writing and now has his first novel in publication, currently holding a 5 star rating on Amazon. Killing The Dead is a fast pace thriller and Paul will be signing copies of the book with a donation made to SPICE and the Lymphoma Association for each book sold on the day.